how about kata venus3 ? That’s an Android phone that runs Android apps from the Play Store. It doesn’t support Java ME. The itel 6910 does not support Java NE apps. how about nokia e63-1 .? Does it work in it? Yes, all Symbian phones support Java ME. it is work on lg ? Depends on which LG model, some support Java ME, some don. how about my phone cherry mobile t19 it is work to download the games. 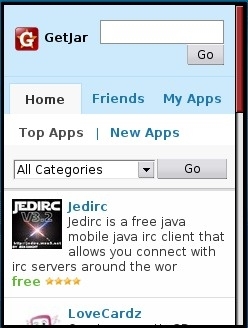 No, Cherry Mobile phones do not support Java ME apps. how about my phone samsung champ? The Samsung C3300K Champ supports Java ME so at least some of the apps here should work. I don’t know. Does the SKK Charm support Java ME apps? If it does the apps on BoostApps will work on it. No, as far as I know your phone doesn’t support Java ME apps. My phone is samsung duos E2222 can it download even whatsapp? Check the “reported working on” list on The WhatsApp download page to see. Dennis give me free apps they do not use load plss give me dennis? Dennis how i can download Apps dowloader? Downloading ANY app will use load. Your operator is responsible for that and there’s nothing I can do about it. How i can know is my cellphone is java me? Check the phone’s manual or specs to see if it says that the phone supports Java ME, J2ME or MIDP. in setting or in browser setting and in app. Can i download even if my phone is cherry mobile comet only? Can i download the java me for iphone? No, iPhones can only download apps and games from the Apple Play Store. Probably not. The manufacture’s specifications at http://www.myphone.com.ph/products/my15 don’t list it as having Java ME support. How do i do to download app from boost app. Downloading instructions are on this page, please read them. What are you trying to open and on what phone? Can I download C-Share or Share – It to my phone. I’ve asked before but didn’t recieved any answer. If you mean the Android app CShare for transferring files between phones it’s in the Android Play Store. Hey Dennis!My phone is lenovo touch screen.My phone version is a269i.How to download with touch screen. The Lenovo a269i is an Android phone. It can not run the Java ME apps on Bosstapps. Java ME is built unto some phones. You can’t install it on phones that don’t come with it. is sony ericsson W200i can work with java me? I have been trying to download games and apps using my nokia c1-01 but it responds to me that,memory Full while the device contains no file.how can i repair it to operate internet work? Press Menu > Select Settings > Select Phone > Select Memory Status. can i download emojikeyboard to my android phone? Please help me to down load facebook on my m0bile. Your question tells me you didn’t read the the as it post tells you everything you need to know to download any app on this site to your Java ME capable phone. Please read the post and if there’s something specific in it you don’t understand, ask and I’ll try to answer. Instagram is not available for Java ME phones, only Android and iOS. is it applicable for oppo phones and old versions of LG mobiles? Most older LG non-smartphones support Java ME so these apps should have a chance of working. Oppo No. Oppo phones are all Android as far as I know. Ask your operator for free data, that’s who’s charging you, not BoostApps.